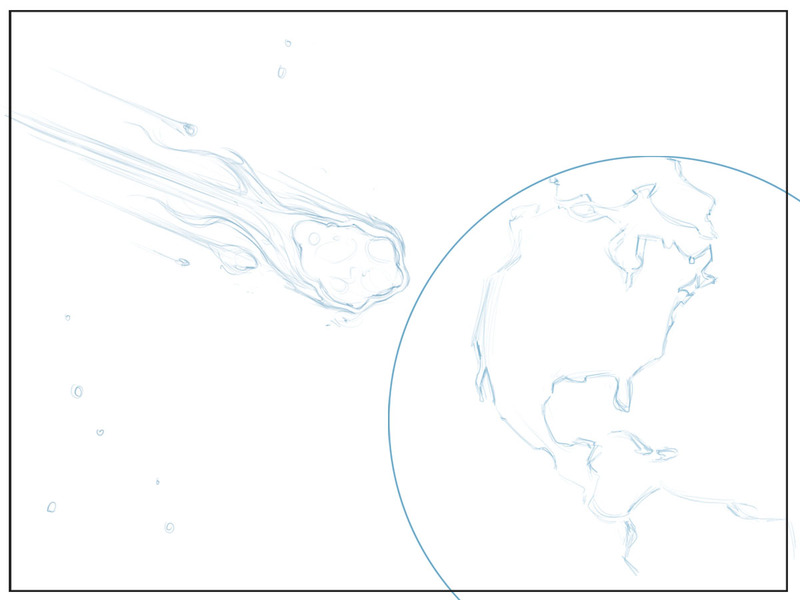 ILLUSTRATION: NOAH KROESE: Meteors: They don't want to miss a thing. 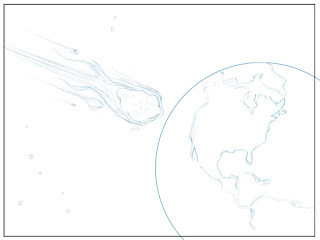 Meteors: They don't want to miss a thing. Apologies for the long delay between posts. As always, I have been working on multiple projects for the past several weeks but I don't plan on posting them until they're complete. I used to post the concept sketches as soon as I had shown them to the client, but it now makes more sense for me to group all the items from a project into one big post so that you can compare the sketches to the final work, see the evolution of the ideas, make fun of glaring mistakes and oversights, etc. But that also means there are fewer posts and longer periods of time between said posts. Here's the latest from Investing.com. It deals with the price of gold. Specifically, the falling price of gold. 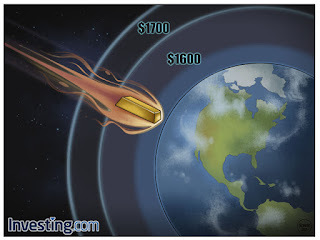 In this comic the price of gold is linked to several recent events involving space debris in various relationships with our planet (one near miss, two others that actually entered earth's atmosphere). This idea, as with all Investing.com ideas, was authored by the folks at Investing.com. As you can see, there isn't much difference between the sketch and the final, except for the meteor, which was originally shaped like a meteor and became a bar of gold bullion. The illustration itself was pretty straightforward and I don't have much to say about it. I will say, just as an aside, have you ever heard someone describe an event or career as "meteoric"? It tends to mean a very fast rise or someone who gains success very quickly. Why? Meteors never rise from Earth, right? Just sayin'.